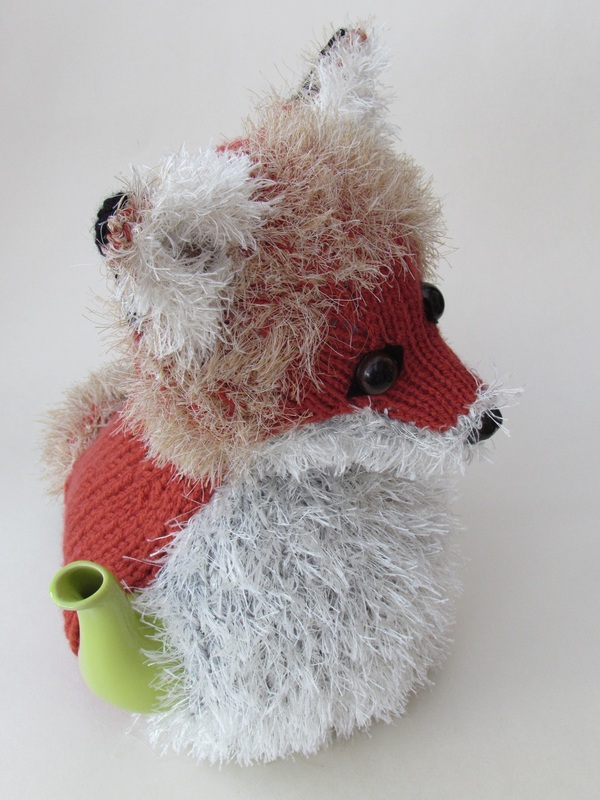 Foxes are so easy to fall in love with, with their beautiful fiery red coats and bushy tails, and cute little expressions and the fox tea cosy has got it all; the plush coat, the beautiful brush and a pointed little face with big eyes. 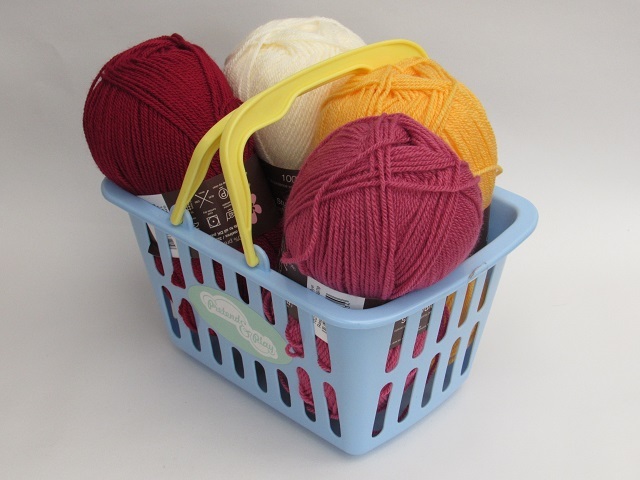 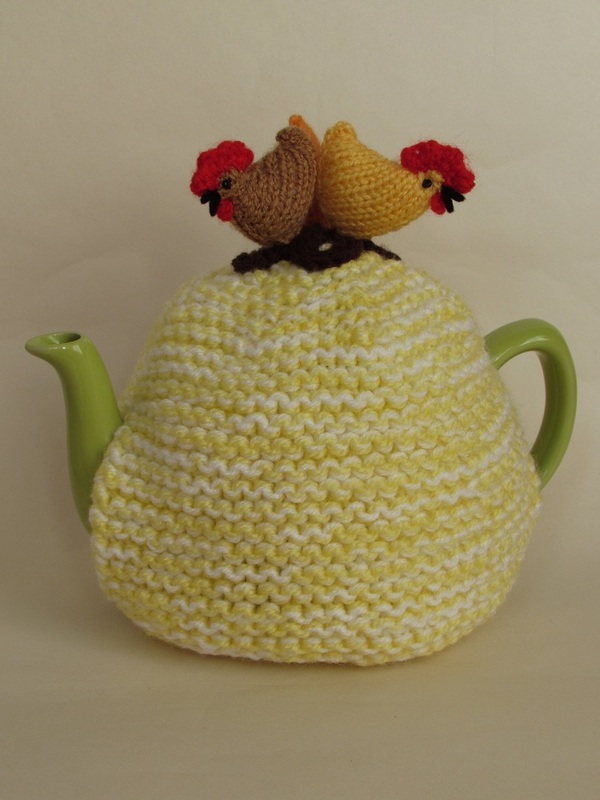 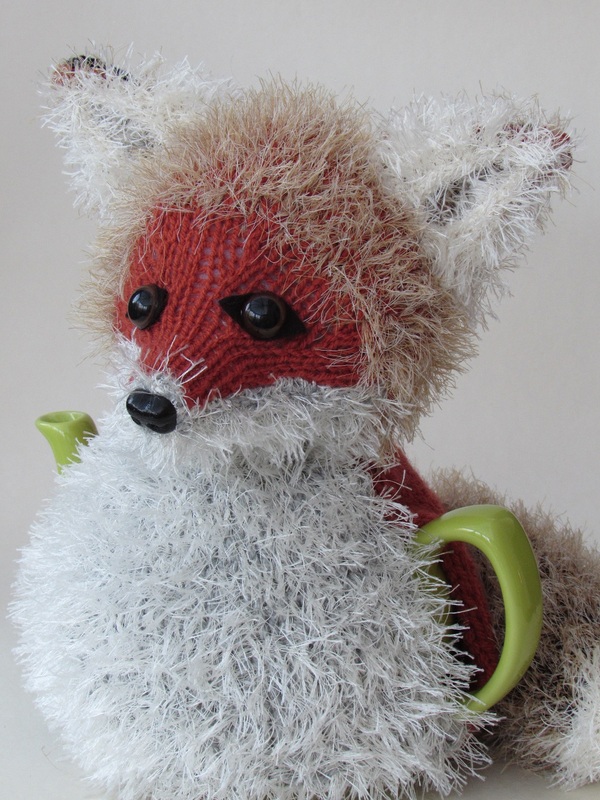 The plushness of the fox tea cosy is because of the King Cole Moments yarn in cream and squirrel shades. 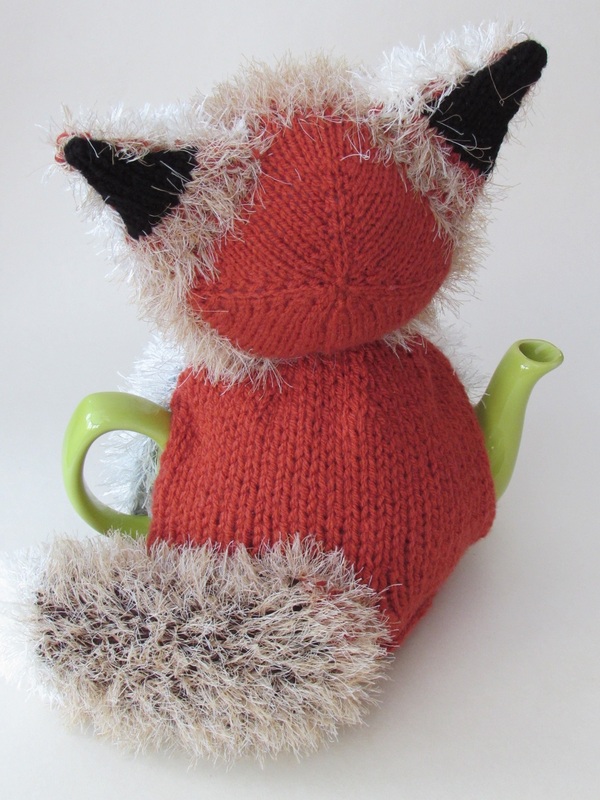 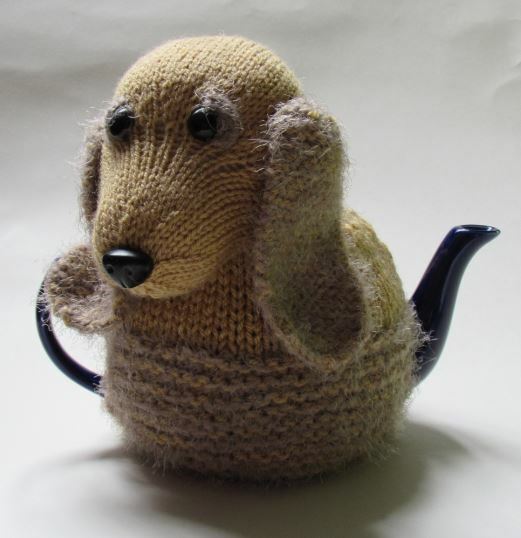 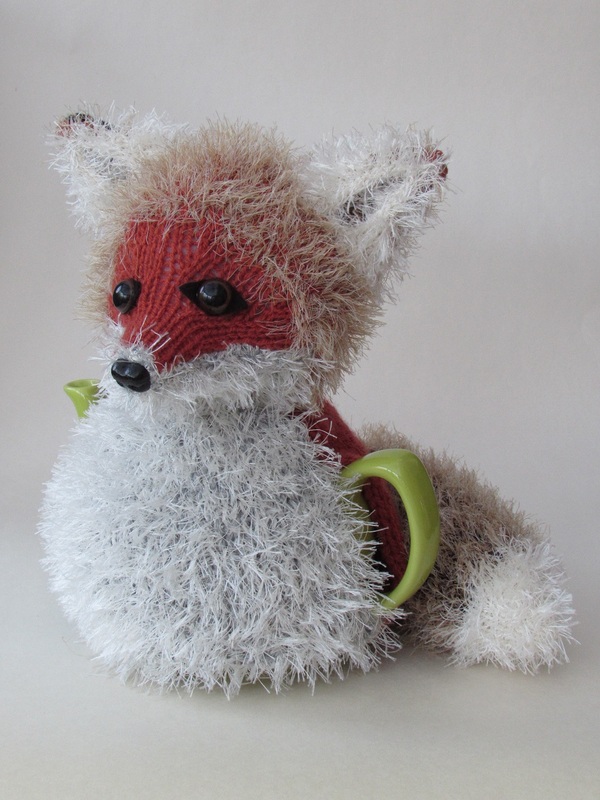 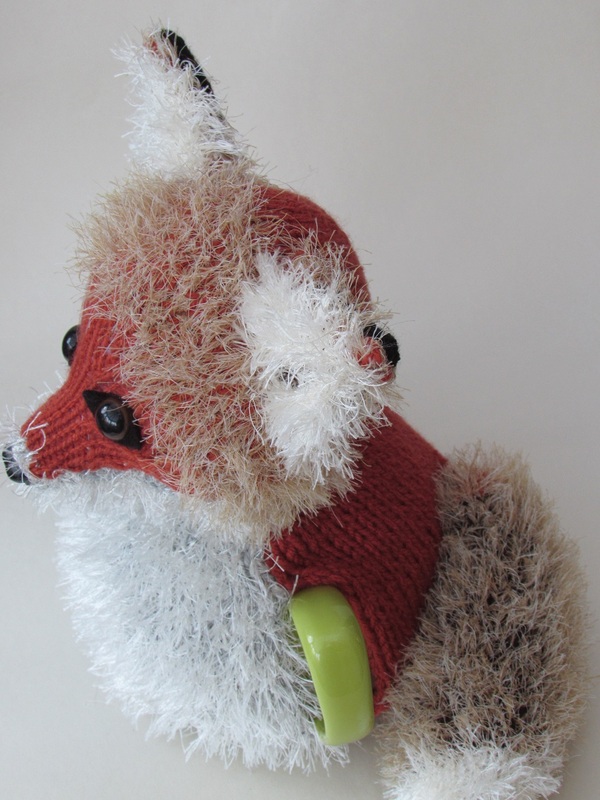 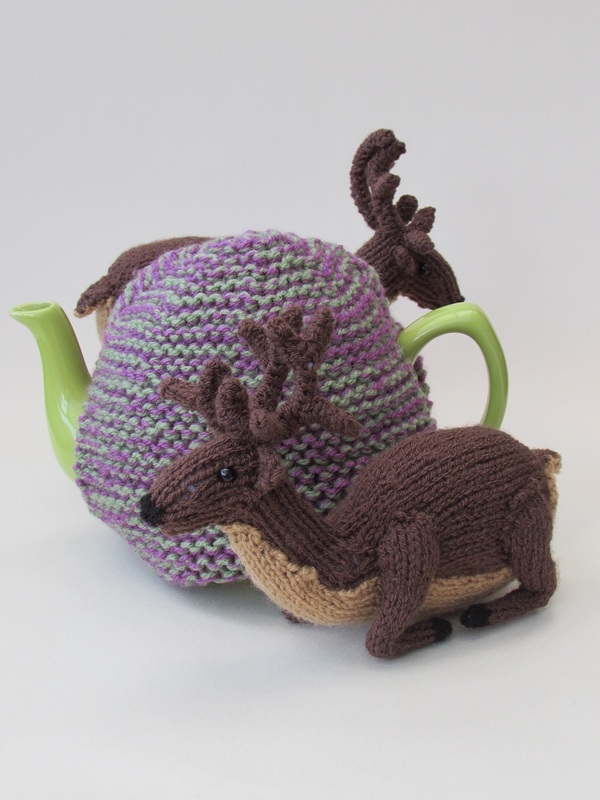 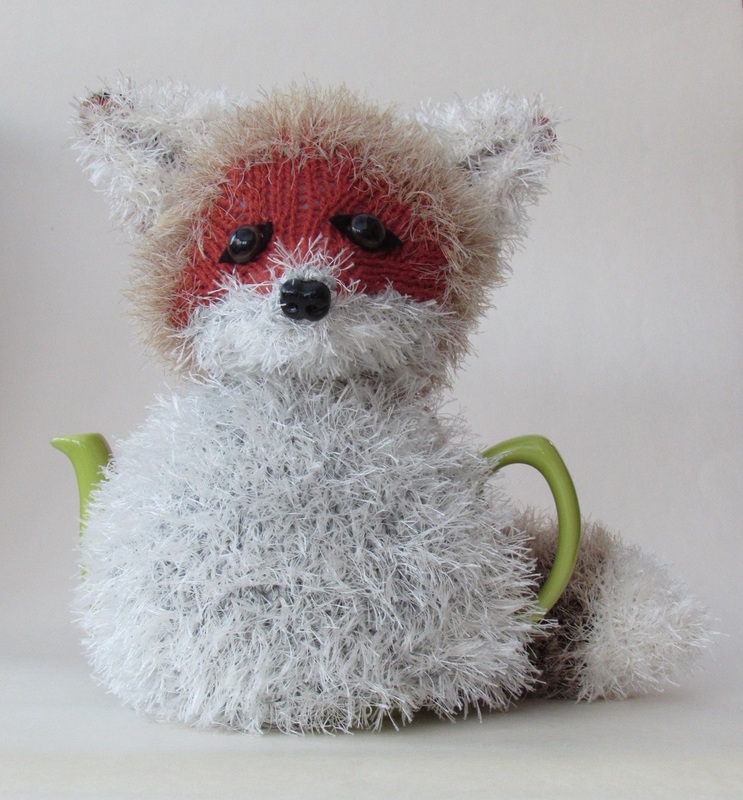 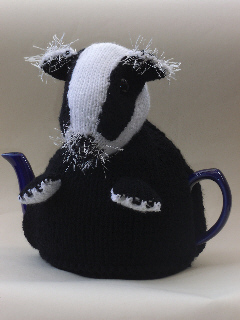 This tea cosy has been designed to look like a real fox rather than a a stylised fox tea cosy. 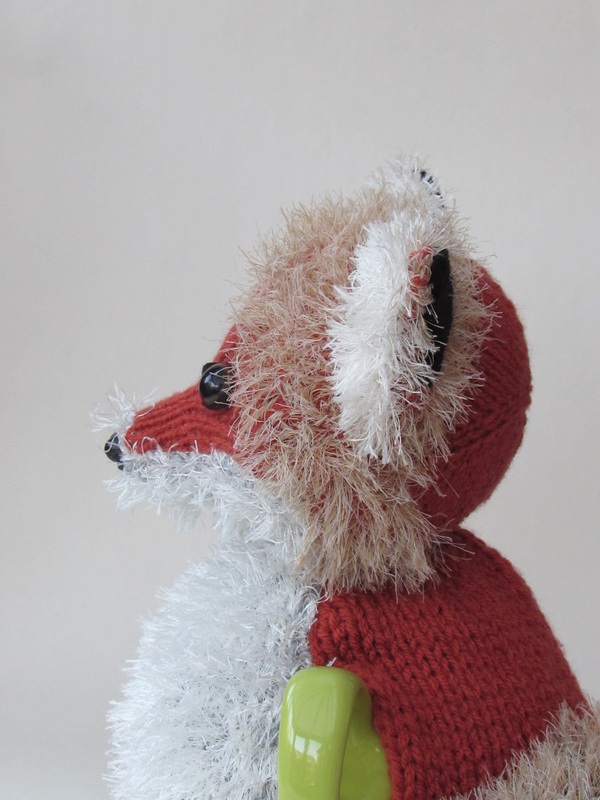 Care has been taken to study the fox's form and colourings to offer a realistic look. 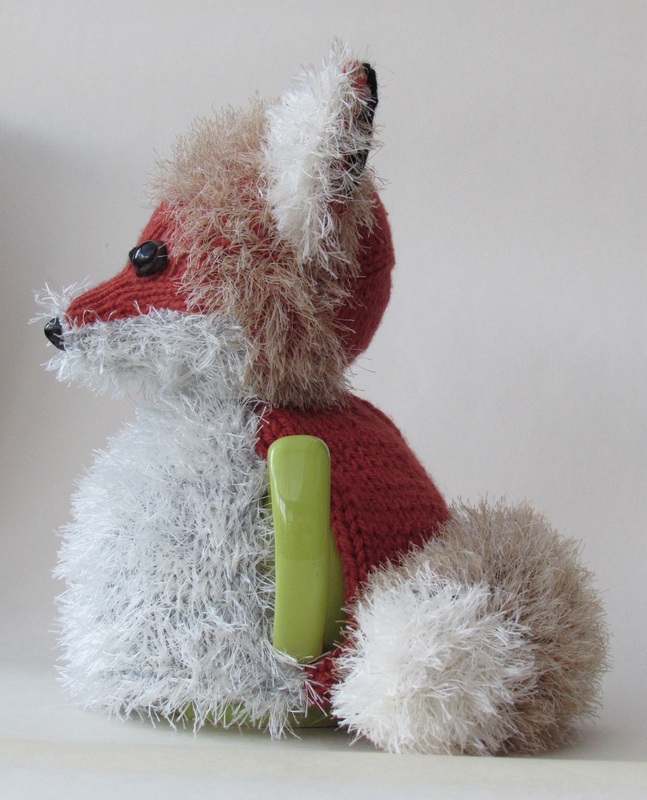 The knitting pattern is easy to read with clear instructions of how to knit and assemble the fox. 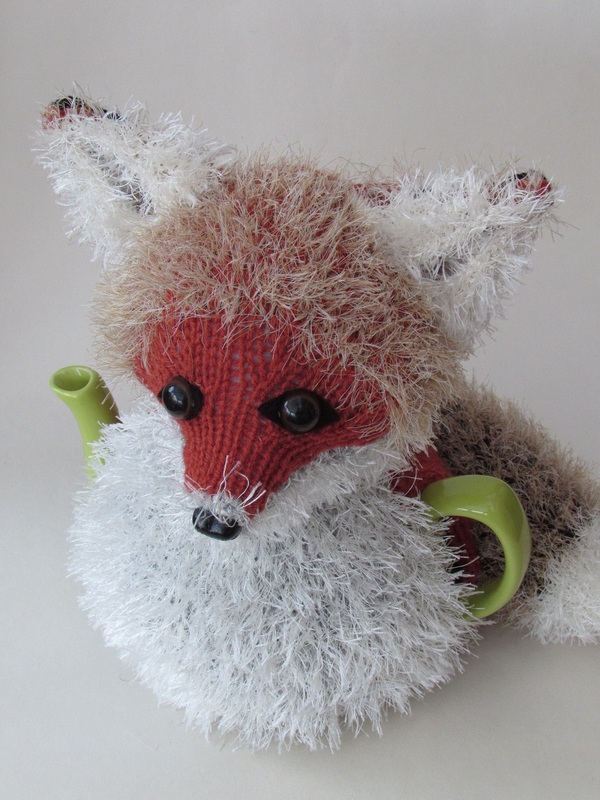 More commonly seen in the countryside, woodland or urban scene, the timid red fox is starting to make more of an appearance at tea times up and down the country, could this be the greater fluffy tea fox?